Downright seedy. Who knew blue roses could look so prurient? 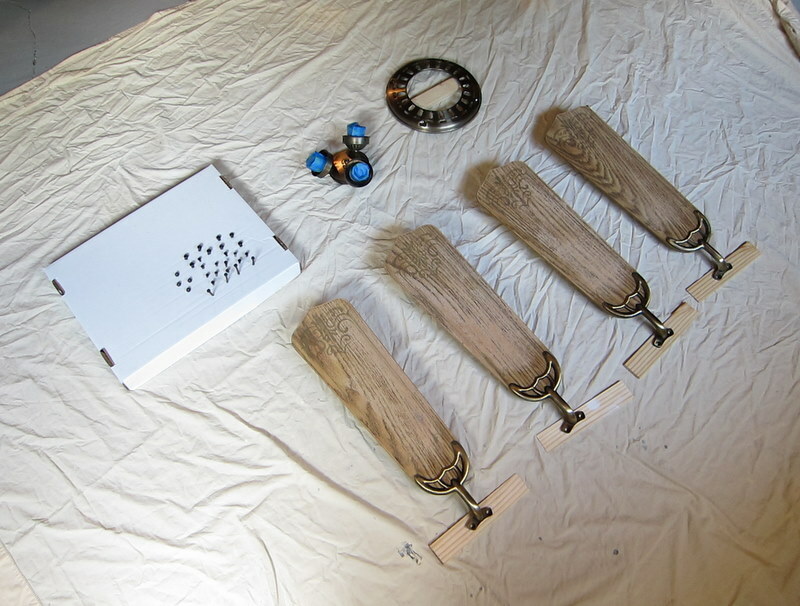 I started by removing the light bulbs and shades, and then the fan blades. 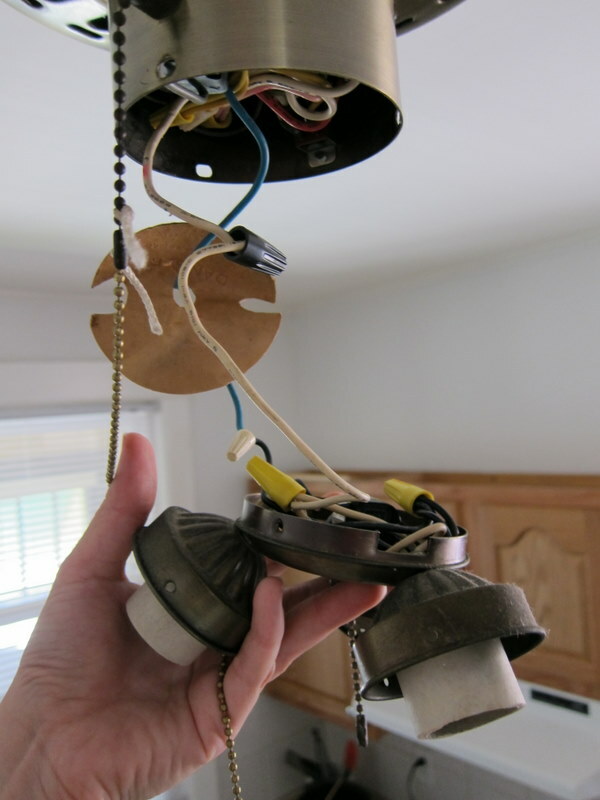 Next up was removing the light kit, which was super easy – just two wires to unscrew – and I then took off the motor cover. At this stage, I no longer felt fully confident that anything I took down could be easily put back up. 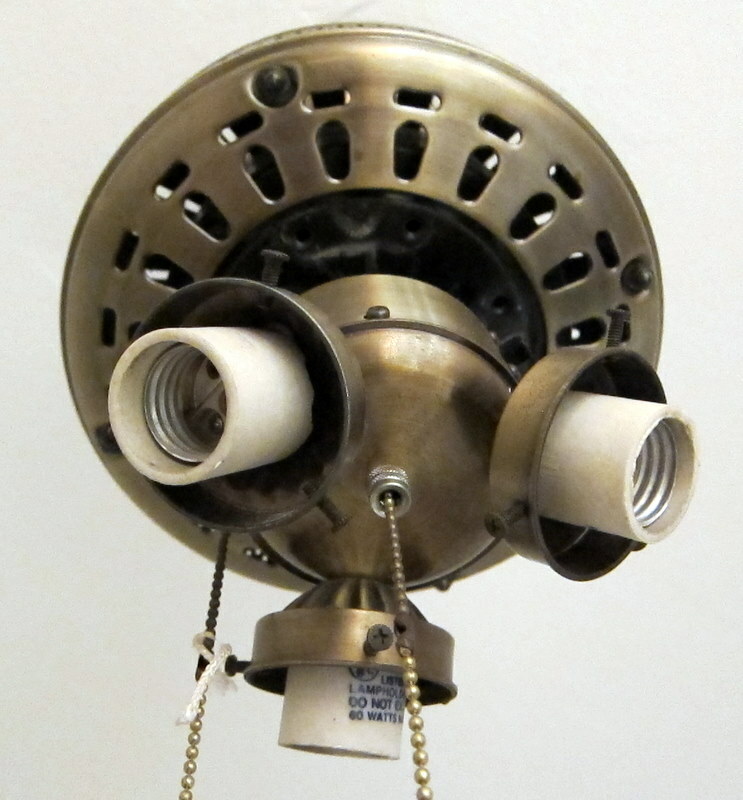 Some of the things in this apartment feel tenuously held together; this fan is one of those things, and I didn’t want to push my luck. 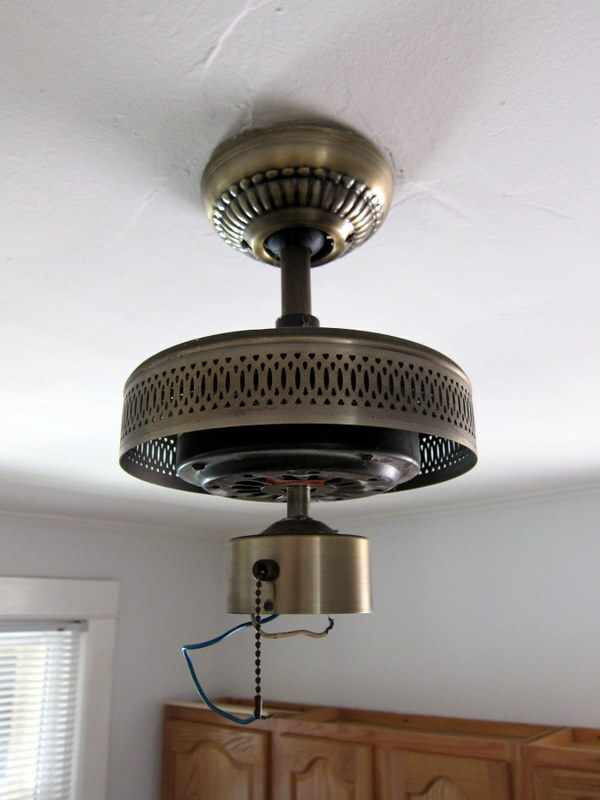 (Not to say it’s an unsafe fan, but rather I wouldn’t be surprised if I removed a screw and the roof slid off the building.) 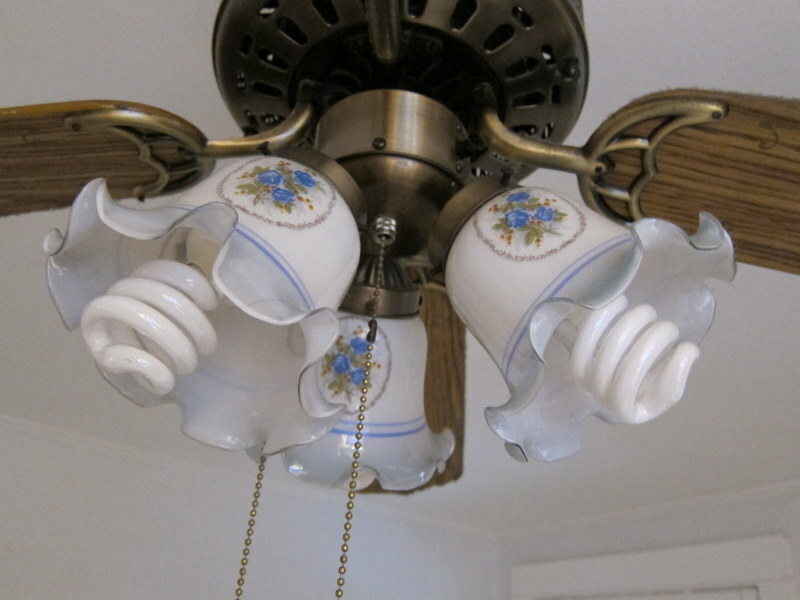 So, I decided to paint the remaining fixture in place. 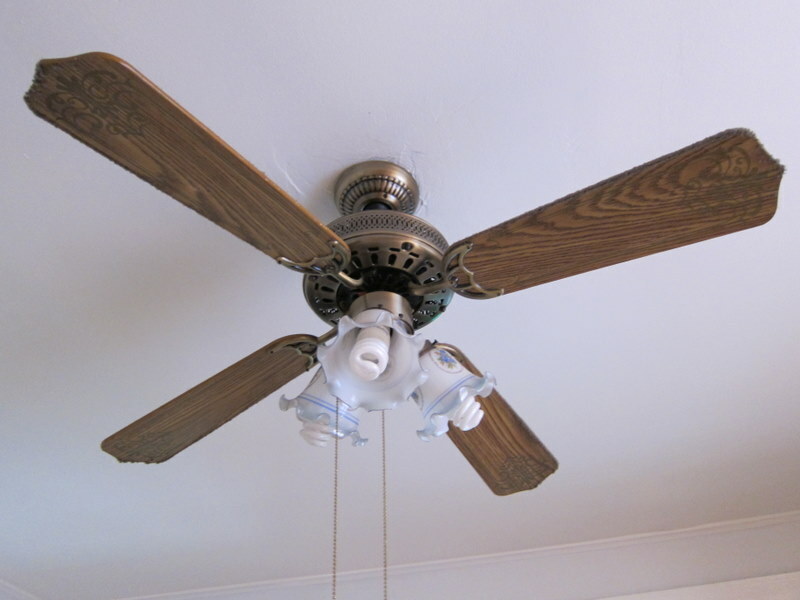 I had seen several other posts in which people spray painted fans in place and I thought it seemed like a bad idea… and, guess what, it is! 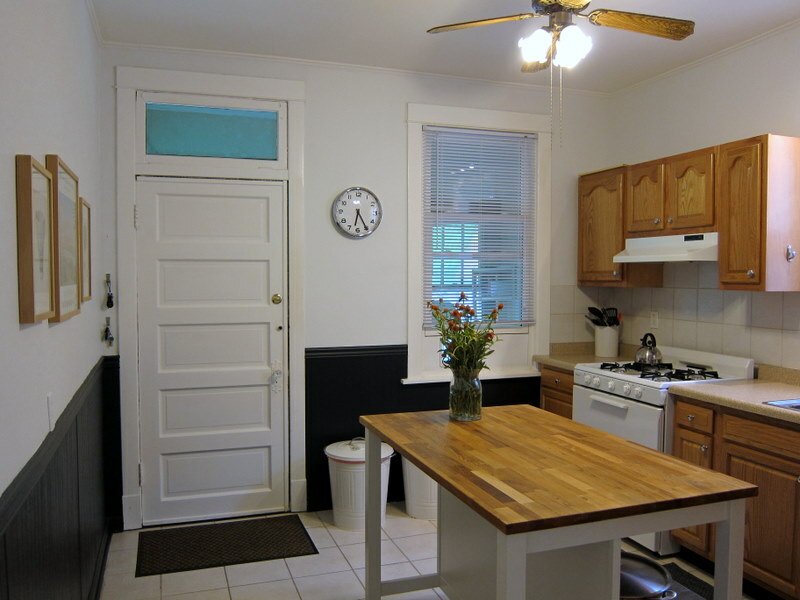 I prepped the kitchen carefully, covering the surfaces below with old sheets, and then used painters tape and trashbags to create a canopy, which I moved around as needed to help contain the drift of paint. 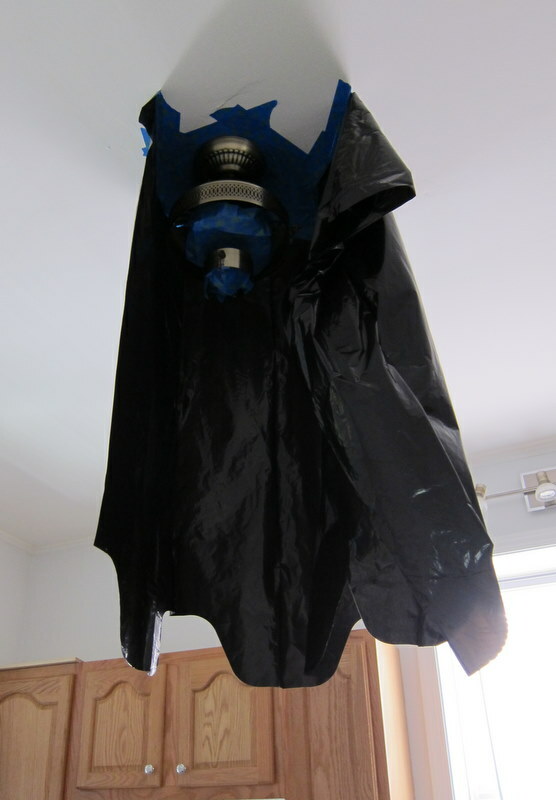 Looks kind of like a dementor, right? It worked, but I wouldn’t recommend this approach. Spray painting indoors = bad idea. 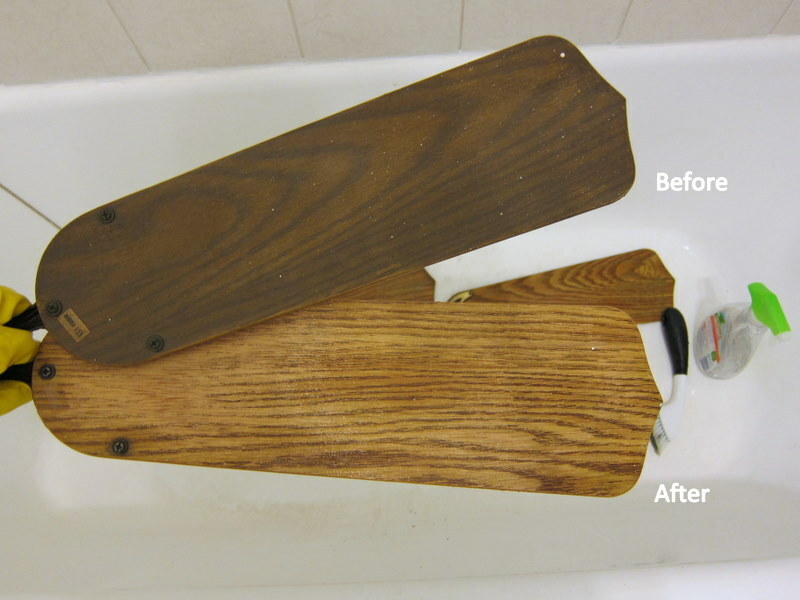 The back of the fan blades were filthy: so coated in grease and dirt that they appeared to be a different color than the front. 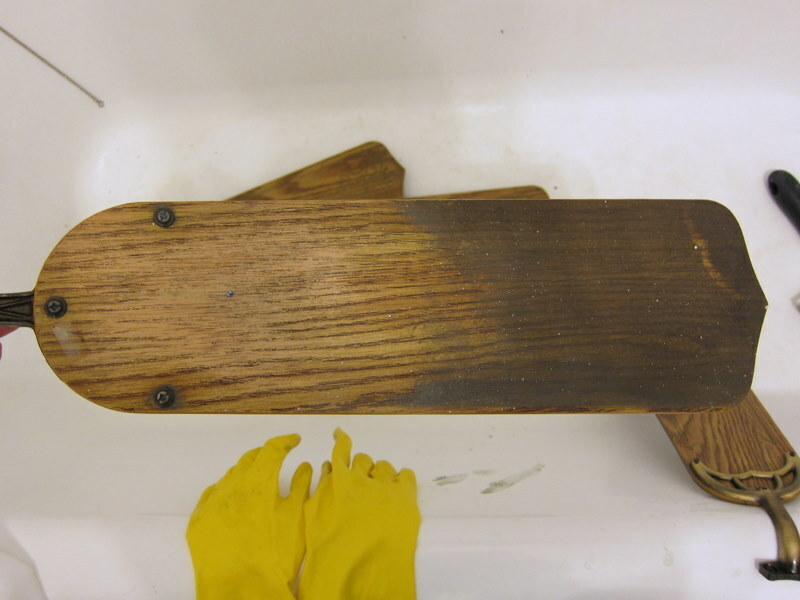 After scouring them in our bathtub, I let them dry over night and quickly sanded them with fine grade sandpaper. 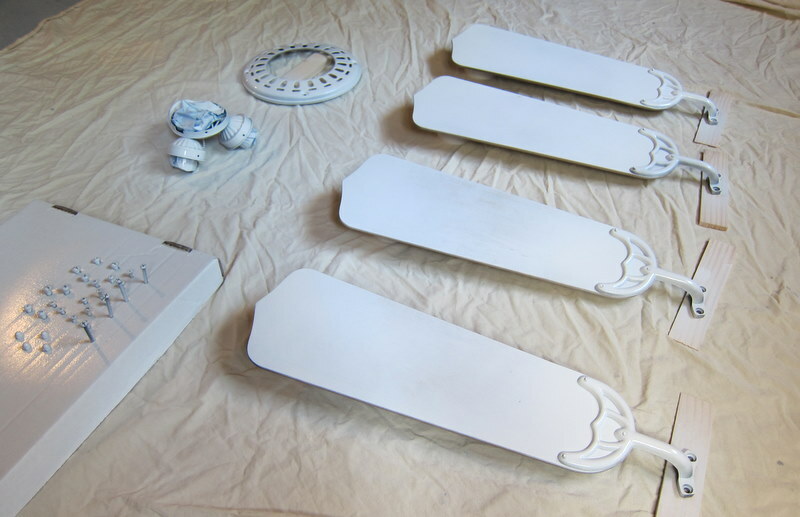 I taped up the electrical bits I didn’t want painted, stuck the screws in a box lid to secure them, and then went at the whole lot with white spray paint. By the way, I didn’t use primer because I didn’t have any on hand and I didn’t want to venture out to the ‘burbs to buy some. You see, the sale of spray paint has been banned within the city of Chicago since 1995. It went all the way to the Supreme Court. 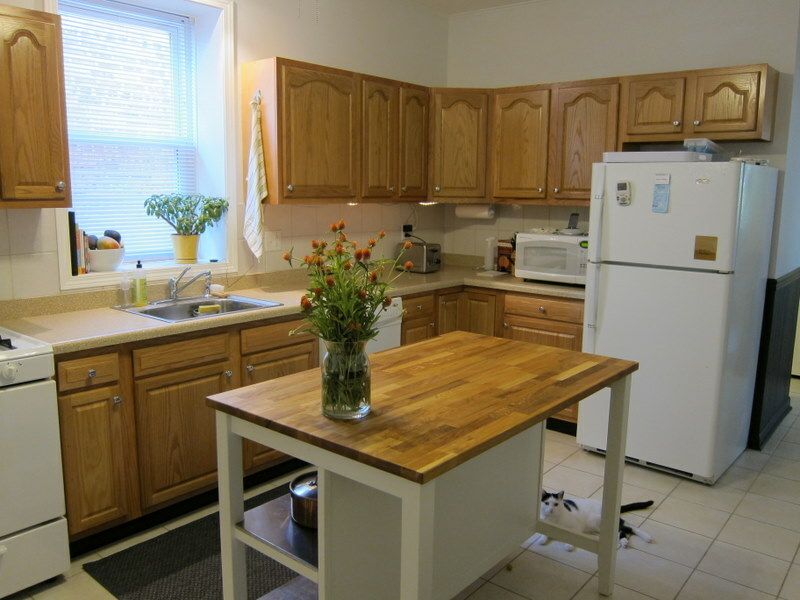 It’s been a curse on Chicago DIYers ever since, and on this particular DIYer since 2003. I’m surprised it hasn’t led to drive-through spray paint joints along the Chicago city limit borders, like fireworks stands along state lines. Maybe this is an untapped franchise opportunity. DIBS! Moving along: things went quickly once all of the tedious-but-necessary prep work was finished. 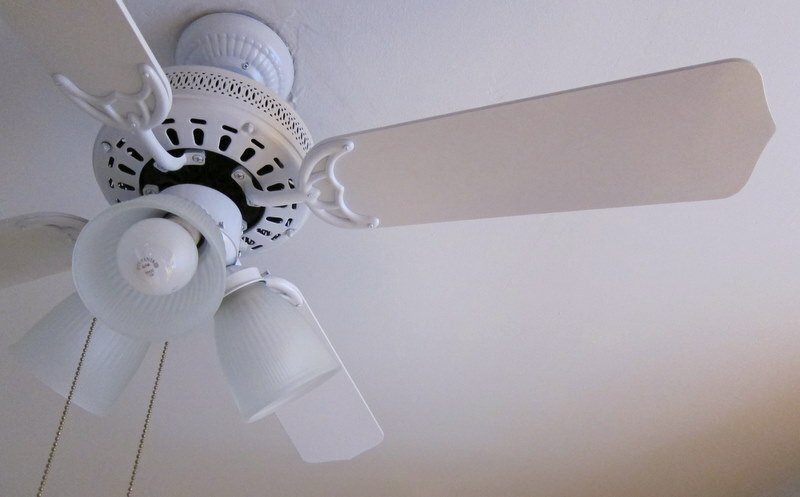 It’s a white fan! Hurrah! Really, though, I don’t want a decorative, bedazzled fan. 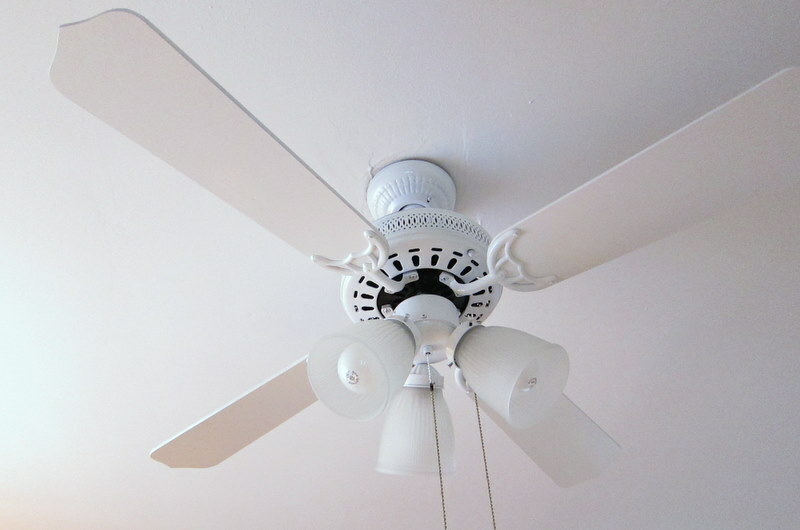 I want a fan that blends in. Done and done. Now I’m eying the guest room fan. 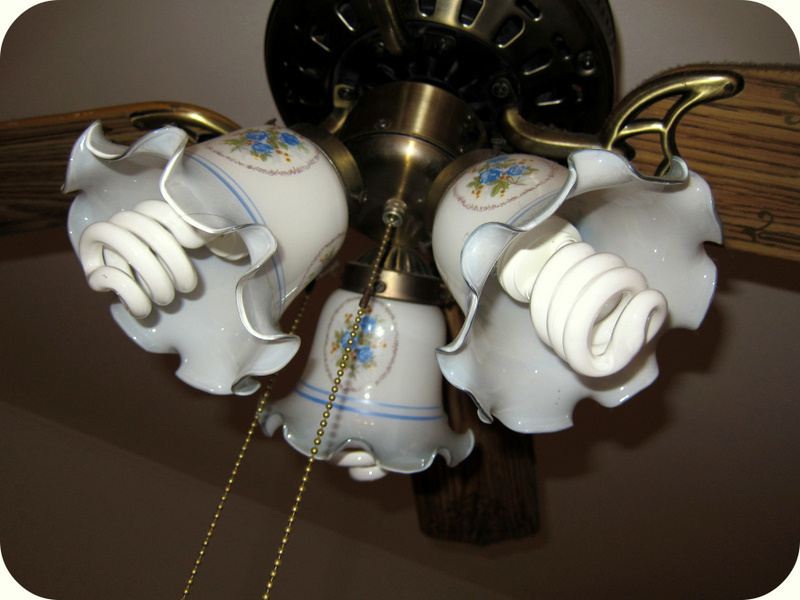 I’m also eying The Home Depot’s selection of ready-to-go no-defense-against-the-dark-arts-training-required fans. 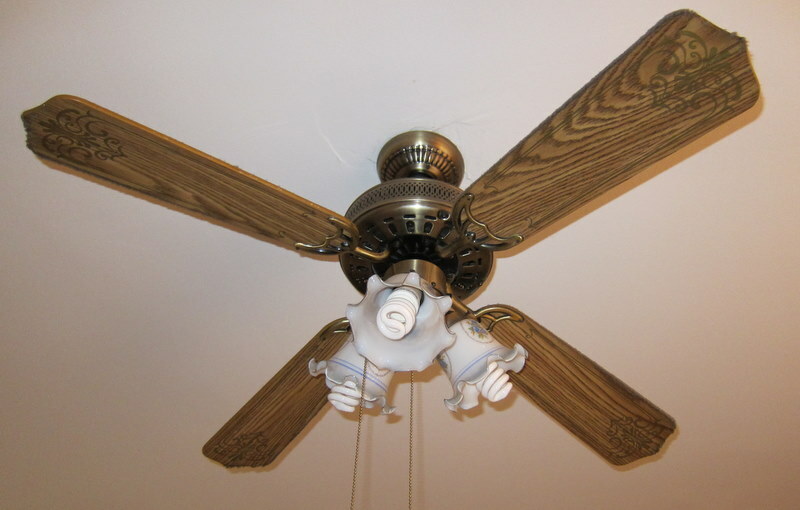 Did you know you can buy a ceiling fan for $24?! I sure didn’t. 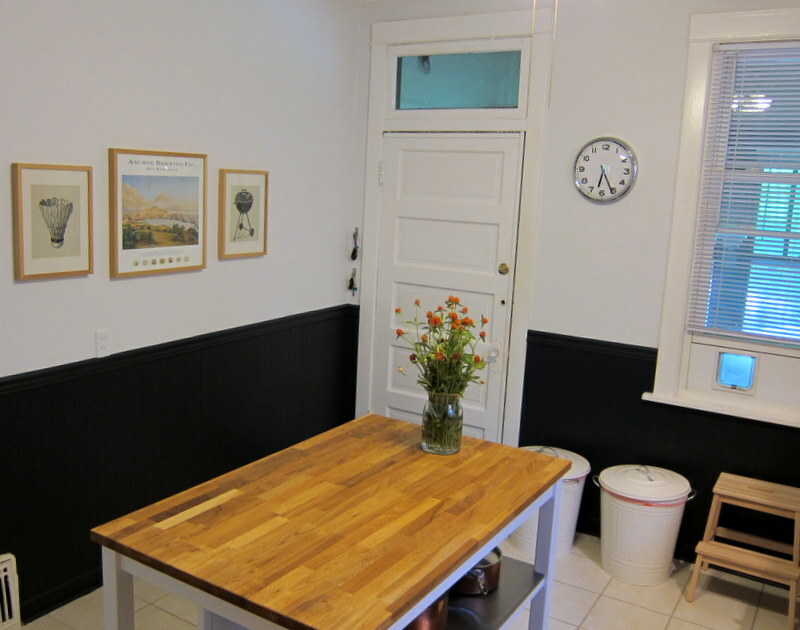 As seen in the previous post, nearly all of the kitchen stuff is located along one wall, making the room sort of anchorless and not very user-friendly. 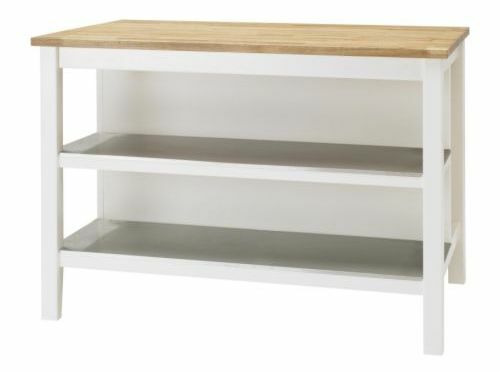 I was won over by the STENSTORP island at IKEA: huge real wood top, stainless steel shelves, space for bar stools. 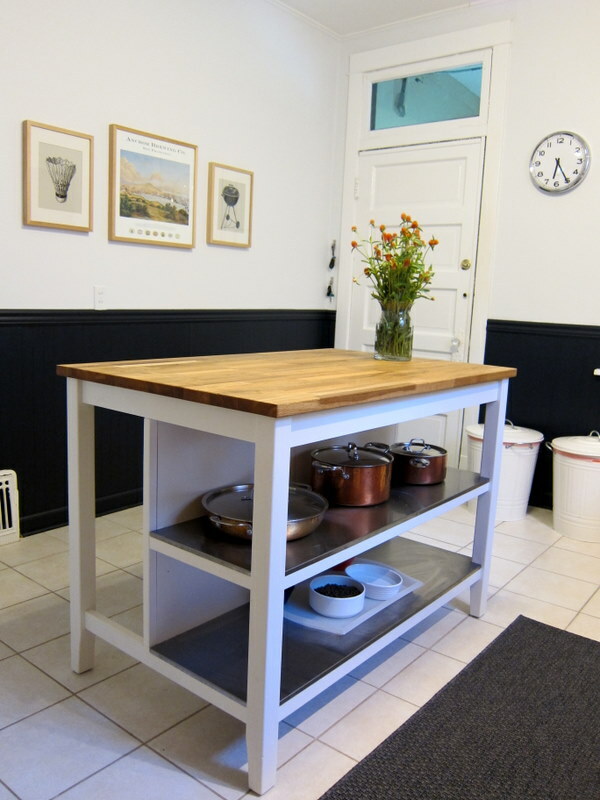 I thought it would be awesome in our kitchen but $400+ (including tax) was too steep; plus, I prefer to buy furniture second-hand for a variety of reasons. 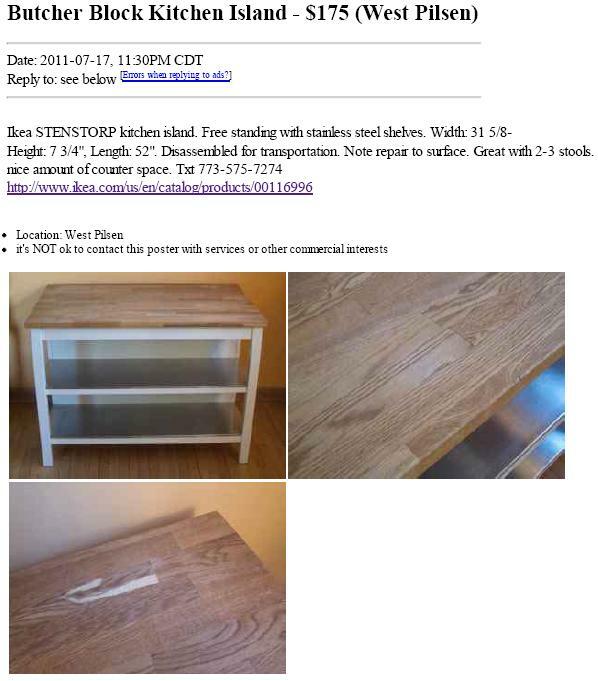 So, I set up a Craigslist alert for “STENSTORP” and one popped up a few weeks later. $175 – maybe not a steal, but definitely a good deal for such a major piece of furniture. 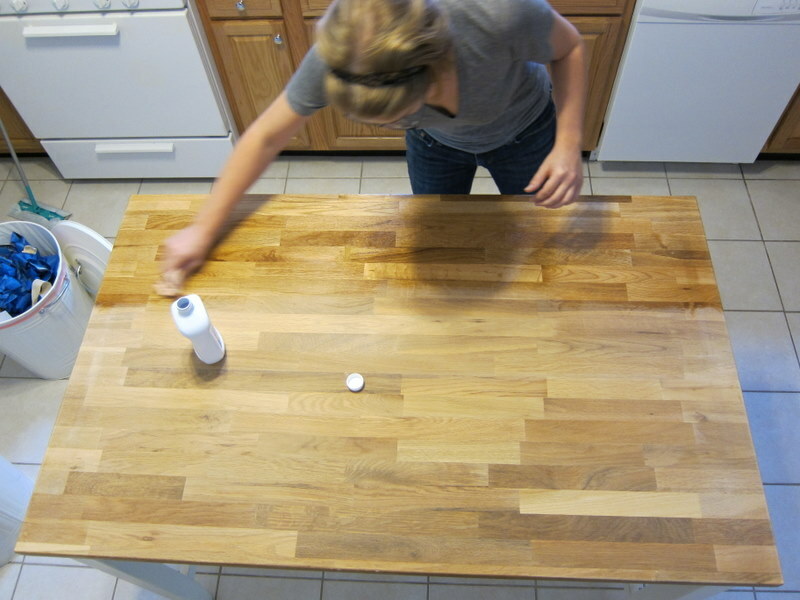 The island’s top had a big gouge that the previous owner had patched with wood filler. I decided to flip the top and sand the bottom to use instead. 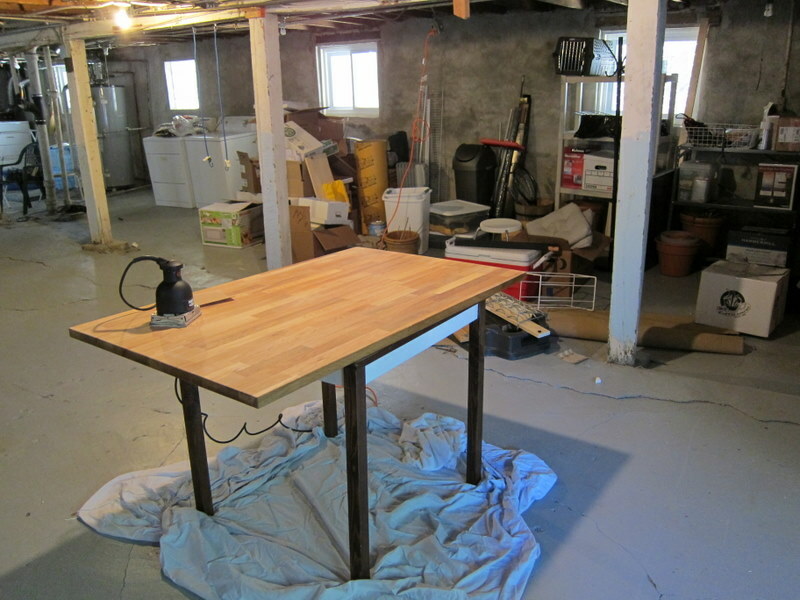 By the way, it’s incredibly awesome to have project space in the basement. 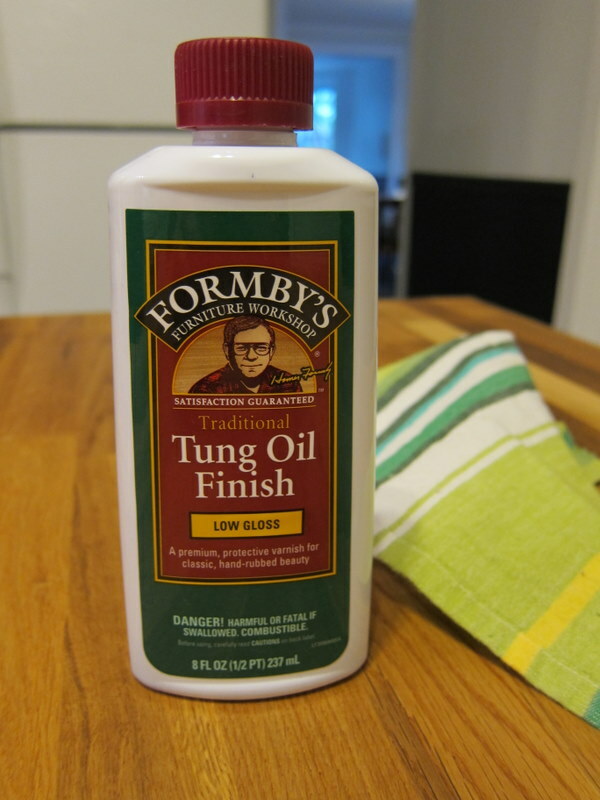 I read online that mineral oil is good, cheap, food-safe protectant for butcher block counters. Jarrod was a good sport and bought it at Walgreen’s for me. It was fun to apply and the wood drank it right up, so I thought we were good to go. 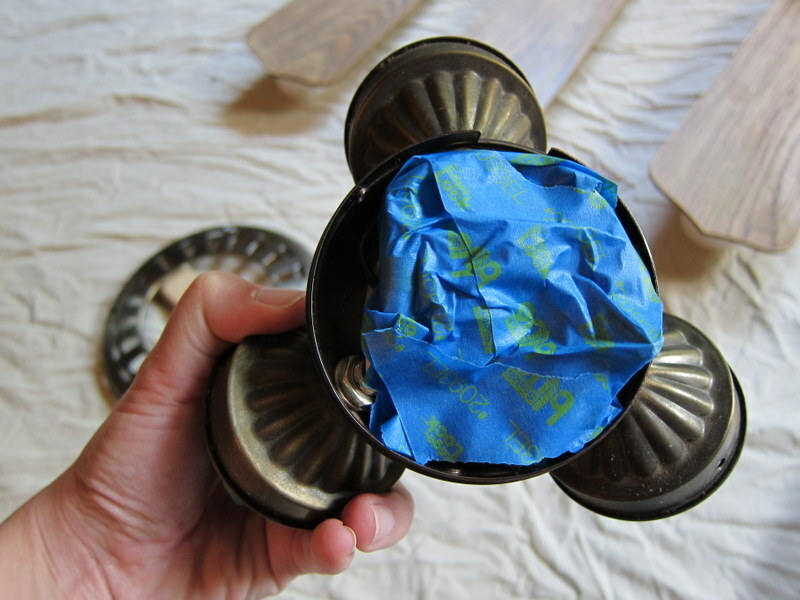 Setting a warm pizza box on it, however, raised the grain of the wood, indicating that the mineral oil did not provide adequate protection against steam/water. I don’t want to have to treat the island delicately, so I upped the ante and applied tung oil finish, which is supposed to provide more water resistence. 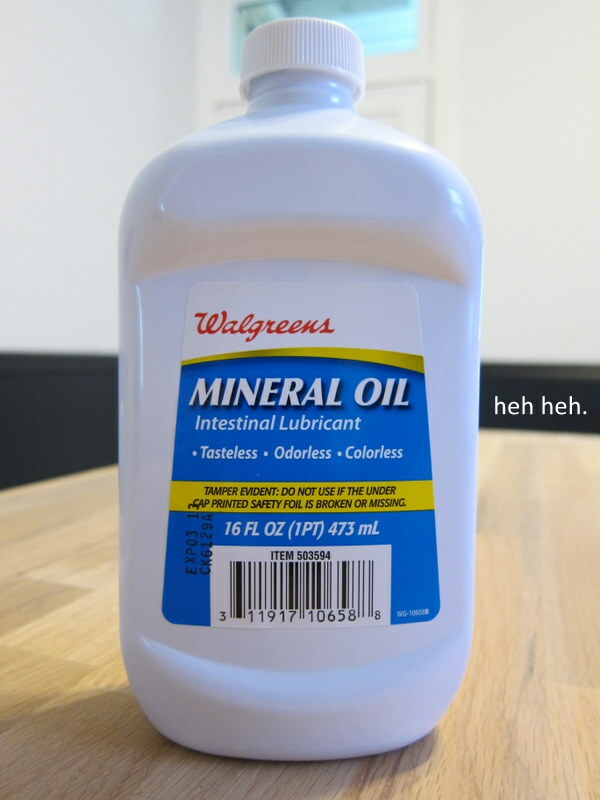 If this doesn’t work, I’ll cave and use water-based wipe-on poly. We won’t actually be cutting food directly on the island’s surface so the poly would be fine, but I’d rather use a product that absorbs into the wood rather than sitting on top of it. Cat food on the bottom shelf keeps it out of sight and out from underfoot. Win-win. Still need to acquire bar stools. Not finished yet, but definitely some big steps in the right direction. I still need to figure out replacements for the mini-blinds. 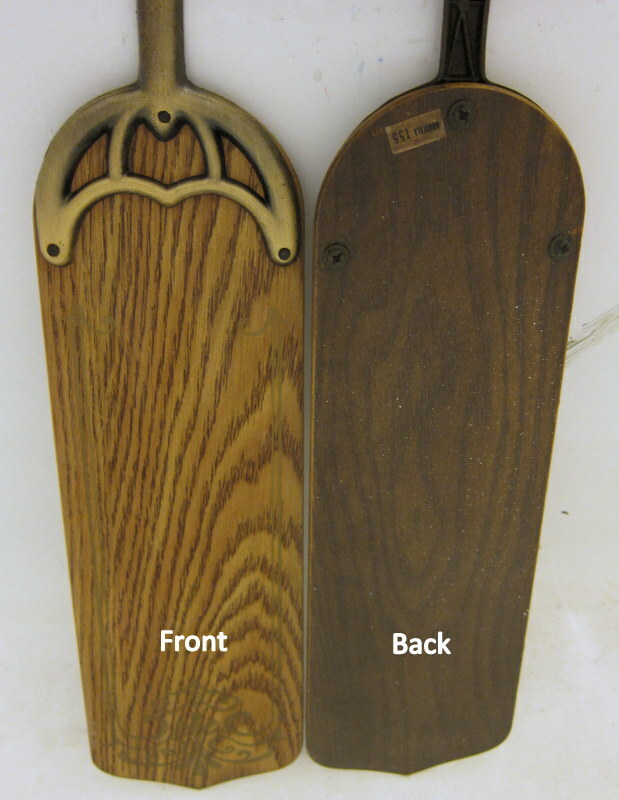 The trim hasn’t been repainted yet. The space will be warmed up with more art, better dish towels, etc. 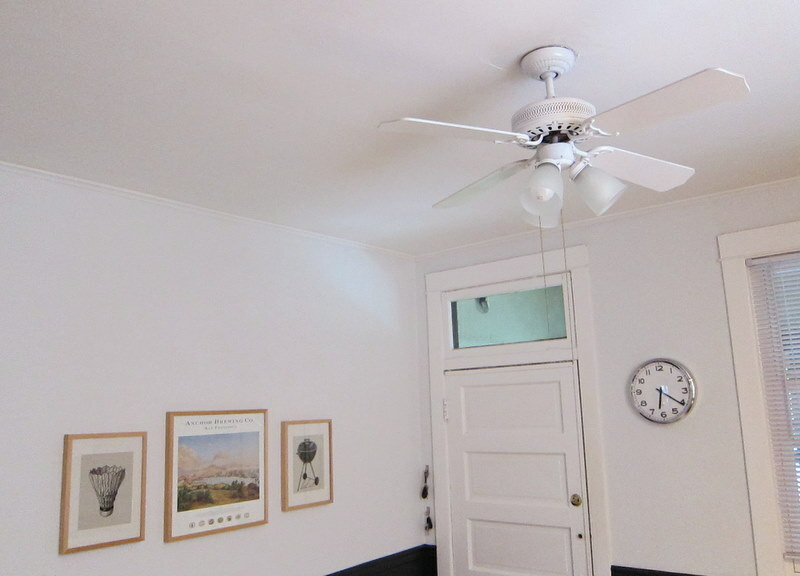 Most importantly, this ceiling fan needs help.